Jerry Jerome noticed in an Inquire article that John McCain’s first wife, Carol Shepp, was from Lansdowne. McCain is our age, so, Jerry reasoned, Carol may be, too. 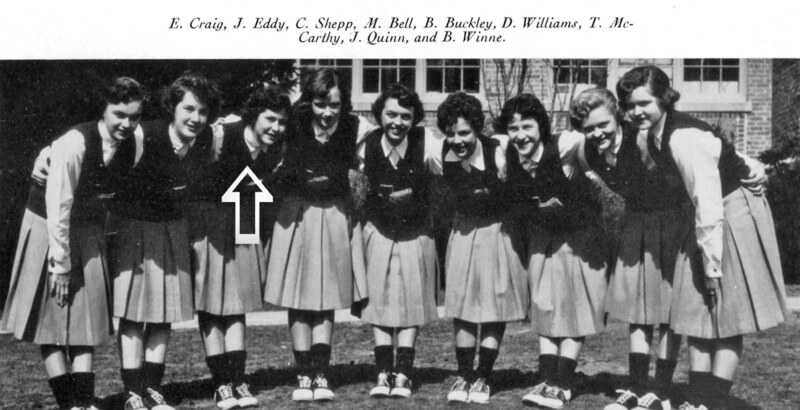 Sure enough, there she is in our graduation Lahian yearbook, one class behind us, looking just as she did years later in a news photo greeting McCain as he returned from his POW ordeal. No doubt you will be hearing much more about her during the election campaign. She had been badly injured in a car accident while McCain was imprisoned that left her with a limp and cost her 5 inches of height, and they divorced a few years after he returned. The problem, she says, was that he was 40 but wanted to be 25. Her car reportedly displays his campaign bumper sticker in Virginia Beach where she now lives, and she harbors no hard feelings from those days. Carol’s best friend from college was Connie Cunningham Bookbinder, and Carol was living near her and her husband in Philadelphia while dating McCain, who would fly in for the weekend. 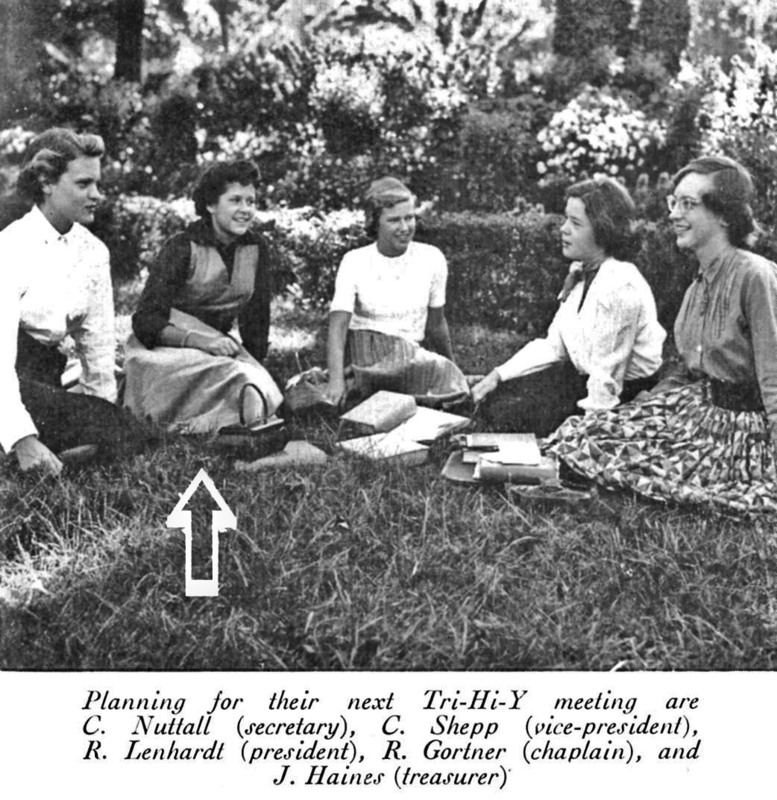 The four of them would often dine together at Bookbinder’s restaurant and take in a game at Franklin Field or the Palestra. She is certainly pretty enough. Shown below is her Junior Class photo and as an LAHS cheerleader with her arm around our own Marian Bell. Small world. Jerry has time to read. He is recovering from a knee infection, no ordinary infection, but a super-resistant staph that he picked up from a routine steroid shot. He’s feeling good, but walks a little funny. 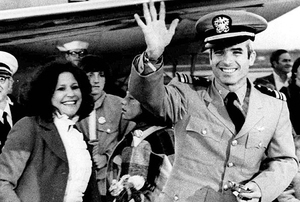 Carol and John McCain news photo. This entry was posted in History, Lansdowne, Philadelphia and tagged Bookbinder's restaurant, John McCain, Nancy Reagan, Tri-Hi-Y. Bookmark the permalink.